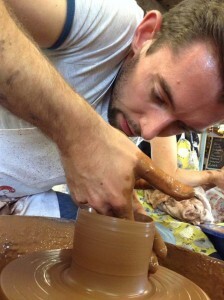 Traditionally, June is a quiet month for our potter’s wheel weekends and one day workshops as the great British public’s attention is drawn towards the garden and other outside pursuits. Normally, we see a lull in the number of ‘would be potters’ and adjust the frequency of workshops accordingly. Not so this year! June has been as busy as any other month with hoards of participants beating a trail to our door. We provide a complimentary lunch and participants have really enjoyed picnicking on the Pottery lawn in the Summer sunshine. 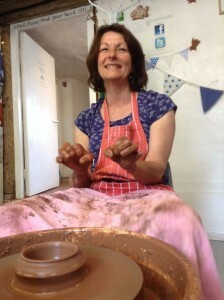 Here’s photo evidence of the potting public’s unwavering desire to make pottery in flaming June.